Will you subscribe to a Chinese telco? Throwing this question to Twitterverse. True to form of Philippine Titadom, the responses were shrill. “The Chinese state may be able to exploit any vulnerabilities in Huawei’s equipment in order to gain some access to the BT network, which would provide them with an attractive espionage opportunity,” the report says. And it went on to say such vulnerabilities would be hard to detect and prevent and would enable the Chinese “to intercept covertly or disrupt traffic passing through Huawei supplied networks”. Apply a bit of perspective to this “issue” and consider that China already has stolen so much from the free world. The Internet and practically everything that runs on it are products of the US military and the awesome might of its vast private enterprise. These are technologies a communist country like China would have been unable to develop and deploy to the scale and timeframe the West had achieved. It is therefore ironic that the West now faces an adversary wielding weapons of its own creation. People scared of China stealing information or anything for that matter should fear not. That’s a fear that comes too late to be of any further consequence. So, Filipinos are afraid Chinese TelCo might steal information from the Philippines? WHAT EXACTLY ARE INFORMATION WORTHWHILE STEALING FROM THE PHILIPPINES AND FILIPINOS? PMA Sinas of Cebu told the Fake News drug dealing Peter Lim will soon be arrested after Warrant of his Arrest are printed signed and notarized. Soon afterPMA Sinas was looking for Peter. SO …. WHO REALLY NEEDS TO SURREPTIOUSLY STEAL INFORMATION FROM THE PHILIPPINES ? Who needs Telcos stealing information from the Philippines? When the Philippine government raids Binay family BinayLand Lawmaker Lootenant told the Philippine Fake News Media he is going to BinayLand …. by the time they got there the BinayLand is no longer there. All Chinese TelCo has to do is buy Chinese-made microphone … a Press ID … stand where they want to steal information from at the door of their residence … shove the mic and voila they get information from the horses mouth. The theft of Technological designs has already happened in the United States. The Chinese Technology spies, have stolen a lot of U.S. technological patented designs, that made them more competitive in world trade. They have also put spies, to spy secrets into the U.S. government agencies. The Chinese wants to surpass the United States in all aspects of trade, politics, defense, Science and Technology. So, they put industrials and technological spies, and various spies of all kinds, in various/vital places in the industries /government of the United States. China has already dominated most of the countries in South East Asia. What the Japanese Military Imperialist, tried to do in World War II, like the “SouthEast Asia Co Prosperity Sphere” program. The Chinese has already attained it …Anyway this was what Benigno Aquino, Sr. was trying to do with the Japanese Military Imperialists, in the Philippines, during World War II. What Benigno Aquino, Sr. failed to do, may have enabled the Chinese, to accomplish it, with the help/blessings of some collaborator politicians ! You’re saying Chinese will steal “FILIPINO TECHNOLOGY”. Oh, pleeez, GOD FORBID. Imagine if China steal Filipino Technology and install that technology in all Philippine Airlines aircraft …. THAT IS HORRIBLE !!! I will never steal Filipino Technology. People would be laughing at me. I never wrote: ” The Chinese will steal Filipino Technology”. The spying in the government agencies communication is the one in jeopardy…we, Filipinos will steal Chinese Technology and use them as our own ! Build “mansions”. What the crooked Filipino think a mansion actually is just another cookie-cutter tract-houses. Why it is easy for China to “steal” technology? Apple sends their manufacturing to China. China “copies” it. Filipinos call it “technology transfer”. OF COURSE, PEOPLE, YOU HEARD OF TECHNOLOGY TRANSFER when “tech companies” put up shop at Export Processing Zone and the government gloat about it in the Philippine Fake News. Do Filipinos has the wherewithal to steal technology? Once they have stolen technology do they know what to do with it? Let us be reminded Filipinos has the highest literacy rate in Asia. They have U.P. P.M.A. la Salle and Ateneo … what has those graduates contributed to the world? NOTHING !!!! NADA !!! ZILCH !!! ZERO !!! WALA !!! Since Filipinos have no life-altering contributions to the world they contributed Manny Pacquiao. What are you saying? It’s ok to have a Chinese Telco? Well it is not. Not especially to a country that is HOSTILE to the Philippines. The point is what’s so bad about a Chinese Telco? You’re just grasping on straws since can’t even explain how hostile China is to the Philippines. And no, don’t give me that “territorial dispute” BS because it’s not enough. Yes a country claiming your territory is considered hostile. That’s the very definition of hostile. China never bothered to claim those islands until very recently with a flimsy excuse. It’s too bad Philippine history is filled with cucks like you who are willing to sell out to every foreign invader for a buck. What happened? Your BALLS FALL OFF? lolz. Don’t give me that BS about China being “bigger”. Look at Israel. It’s all about the willingness to fight. Even Pnoy fought in his own way..
Bloody TRAITORS THE LOT OF YOU! Says the actual traitor who is blinded by his EMO-inducing rage. Only EMO-induced Pinoys would think that a dispute for such tiny islands are would think of ‘hostile’. And speaking of cucks, why don’t you include the rich families who monopolized everything, including our industries and service, etc.? Please, you need to do better than that. Using Israel and PNoy are waaaay off. Israel keeps on fighting for its right to exist. And stupid PNoy is just grandstanding, pretending that he fought on his own way, because he had the US on his back. This, along with Trillanes’ meddling, where he messed things up. That’s why Duterte keeps things at bay using diplomatic means. Sorry to tell, but everytime you post here, your intent and emotional outbursts makes you TRAITOROUS. Admit it. So are you trying to boycott China because of this nonsense topic & the issue on the disputed Spratly Islands in South China Sea/West Philippine Sea? No need to boycott every product. But leave sensitive industries out of the hands of hostiles. Industries like steel, food, telecoms and power are heavily protected in smart countries. Too bad everyone is all about MAKING money and selling out the country. if we won’t allow china to steal from us, then walk the streets naked. Death of Facebook is death to Filipinos. It was the Filipinos that catapulted Friendster to become number one Social Media … when Filipinos migrated to MySpace Friendster became web derelict? When Filipinos transferred their affection to Zuckerberg’s Facebook MySpace was a goner? This is only what Filipinos are good at … SOCIAL MEDIA .. to post their selfish ..
L.A. Area FILIPINO GROCERY stores only sells 15% Made-in-Philippines products which are owned by left-behind colonists and Chinese. What is 99%? The Tienderas … and Tienderoas. TYPICAL PILIPINO TITADOOMs … Responses from Titadoms are typical of Filipinos. 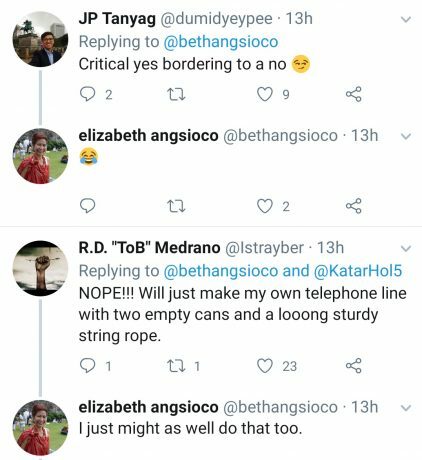 They’d rather roll out their fiber telco strings to connect both ends with used Carnation Evaporated milk cans to talk than bring 1stWorld Internet technology in 3rdWorld Philippines. 1. Tanon Strait. Between Cebu and Negros Islands. Potential for oil. Habitat for bottled-nose dolphins. Exploration of oil: DECLINED. For the reason it destroy the habitat for bottled-nose dolphins. Brown-skin Filipinos would rather have their children starved to death by depriving them of oil than destroy and kill bottled-nose dolphins. FILIPINO BROWN-SKIN RUN GOVERNMENT PREFERS FILIPINOS DIE THAN DOLPHINS. Well, I somewhat agree. If Filipinos are useless might as well kill them all and raise dolphins. Because dolphins are friendly and loyal than two-legged Filipinos. Give oil proceeds to fishermen. But approvers of oil explorators would rather have the money all by themselves nothing to fishermen. THIS IS NOT ABOUT REDUCED CATCH IT IS ABOUT HOW MUCH THE FISHERMEN GET FROM OIL EXPLORATION. 2. AMERICANS PROTECT FILIPINOS … Americans protect Filipinos from foreign invaders like China … and … listen to this ….. drum roll pleeez ….. brrrrrrtat …. FOR FREE !!!!! Yes, my U.S.A. protects Philippines from intrusion, invasion and attack FOR FREE !!!! LIBRE !!!! When American destroyer destroyed Philippine coral reefs after they ran aground off Palawan, PHILIPPINES CHARGED THEM $1,500,000.00 US MONEY FOR WANTON DESTRUCTION. AMERICANS ARE SECURITY-GUARD-FOR-FREE …. yet, penalized ….. !!! Lookit, who gets to see these majestic corals? Not you! I get to see them because I can afford them. I can scuba to western seas of Palawan to enjoy its natural beauty. Who else gets to see them? Of course, the last remaining Spanish Colonists-turned-industrialists …. and the Chinese … errrr …. Filipino-Chinese …. BROWN SKIN FILIPINOS CAN EVER SEE THIS because the money they earn is the money for LOAD TO TEXT. 3. MY PINAY GF WANTED TO SEE BAGUIO … hi ho, hi ho, off to Baguio we go … The place is absolute trash … Now that my Pinay GF has gone to Sequoia Park, Bryce and most parks in the U.S. she realized Baguio is over-rated over-hyped and over-sold …. There are just too many hawkers, hookers and scammers in Baguio. My Pinay GF told me when she was in grade school Banaue Rice terraces used to be the 7th wonder in the world …. TODAY IS DOWNGRADED AS 8th wonder in the world …. Tomorrow it will be dropped to “what is wonder full about it rating”. Despite Filipinos wanting to save the environment habitats and corals they destroyed Baguio. CHINESE TO SPY ON FLIPS? wasn’t it Snowden who exposed earlier on last 013 that the US with it’s FiveEyes are actually behind this nefarious business?